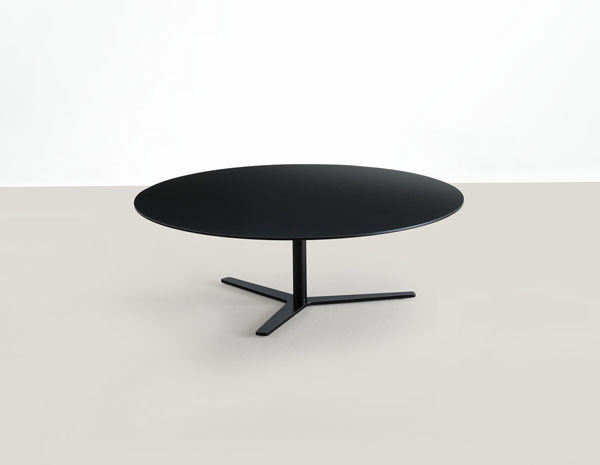 The lounge table Tre 90 acts through its beautiful proportions (ø 90 cm) and the characteristic base. With two different heights, two Tre 90 tables can have a slight overlap when placed next to each other and become an elegant centerpiece. 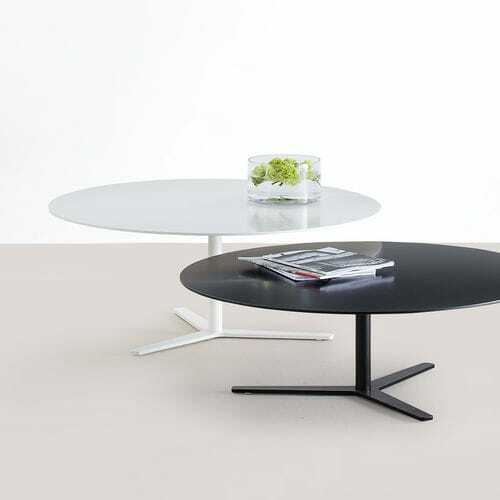 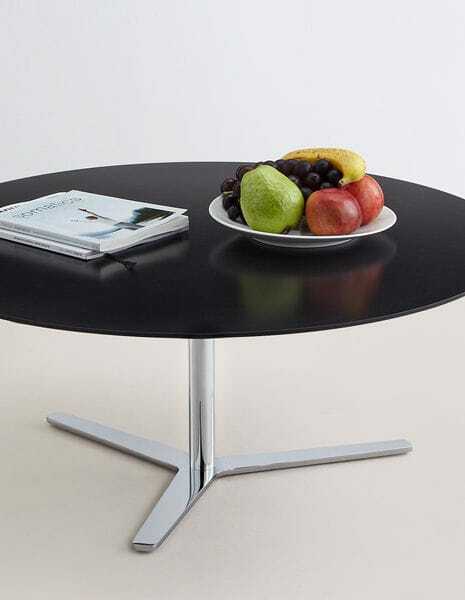 Base in powder-coated steel, MDF board, both in white or black. 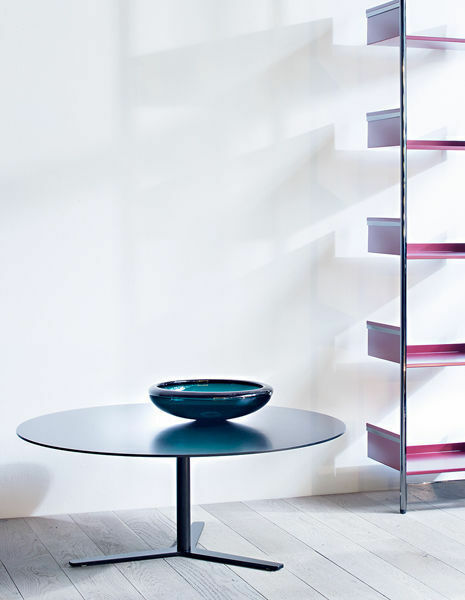 As a variation the base can be chrome.